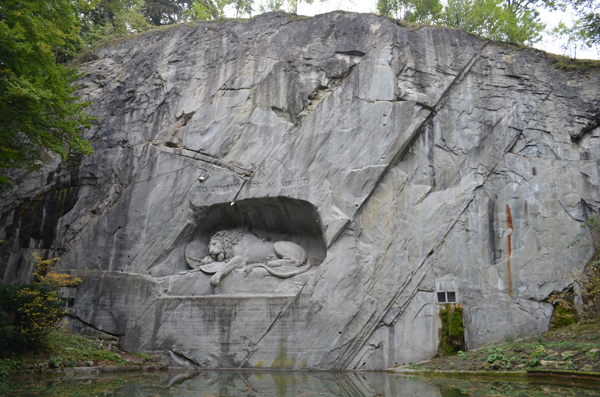 There were a couple quick stops in Switzerland that I forgot about until I was looking at the pictures. 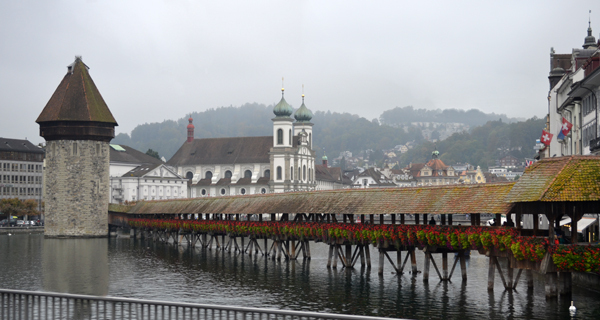 We had a short time in Lucerne where I was able to snap a few pics. This wooden foot bridge is called The Chapel Bridge or Kapellbrücke. Inside this bridge are paintings dating back to the 17th century. I was surprised to read that 80% of it burned down in 1993 and they had to rebuild it. That really stinks. 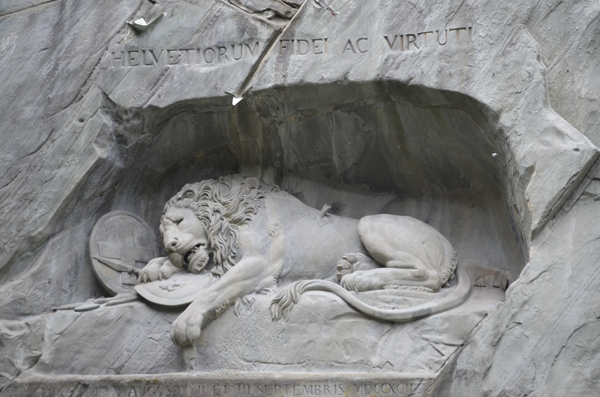 While in Lucerne wh had a chance to see the monument, Löwendenkmal, The Lion of Lucerne. It's a really massive sculpture right into a wall of rock. It was made in 1821 as a memorial to the Swiss Guards who were massacred in 1792 during the French Revolution, when revolutionaries stormed the Tuileries Palace in Paris, France.